In this edition of The Weekly 5, I’m sharing 5 reasons to stay on Disney property in a Walt Disney World Resort hotel or Disney Vacation Club Villa. With more than 25 resorts to choose from, there’s almost certainly an option to fit your taste or budget. When using disney Transportation you don’t need to use a car seat, meaning no lugging heavy gear through the airport or paying a premium to rent a car seat! Beyond on property transportation options, Disney’s Magical Express buses shuttle resort hotel guests to and from the Orlando International Airport free of charge. Magic Bands are your modern key to a hassle free stay at the Walt Disney World Resort. Provided to resort guests free of charge, these wristbands act as your resort key, park ticket, PhotoPass card, and even a form of payment allowing you to charge to your room. Since they’re waterproof, there’s no reason to worry about removing your Magic Band at the pool, waterpark, or in the shower. When it’s time to order your resort Magic Bands, you have 8 color options to choose from. For an additional charge, themed Magic Bands and accessories can be purchased in most souvenir stores across Disney property. Extra Magic Hours are times when select Disney parks either open early or close late for guests staying on Disney property. While not all rides and attractions are open at this time, most are, allowing for shorter wait times. Extra Magic Hours vary depending on the time of year, so make sure to check the full schedule on the Disney World website. Disney Resorts fall into three categories; value, moderate and deluxe. Value resorts can start as low as $95/night, with deluxe villas ranging into the thousands. 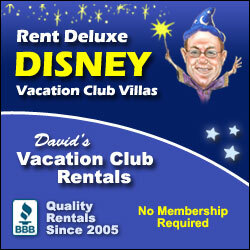 While deluxe resorts provide a luxuroius experience, value resorts also have a first class Disney touch. When staying at any Disney World resort, don’t forget to schedule your character wake up call. The kids will love it! If there’s one thing I guarantee about your trip to Walt Disney World, it’s that you’re going to buy souvenirs! As an added benefit of staying on Disney property, these items can be sent directly to your resort hotel. This means you don’t have to worry about carrying them around all day or taking up room in your stroller. Next articleTuesday Travel Tip: When You See a Crowd, Go Left!